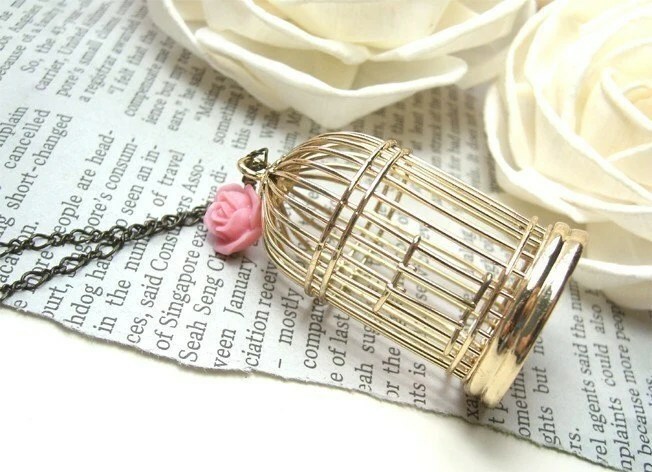 What a necklace! 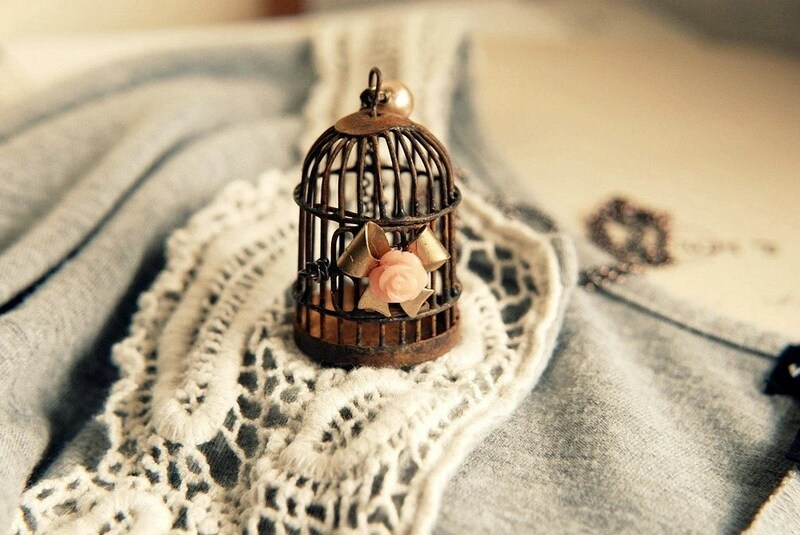 And I don’t just like it because it’s French, or being worn by another Jocelyn (obviously a tasteful name). 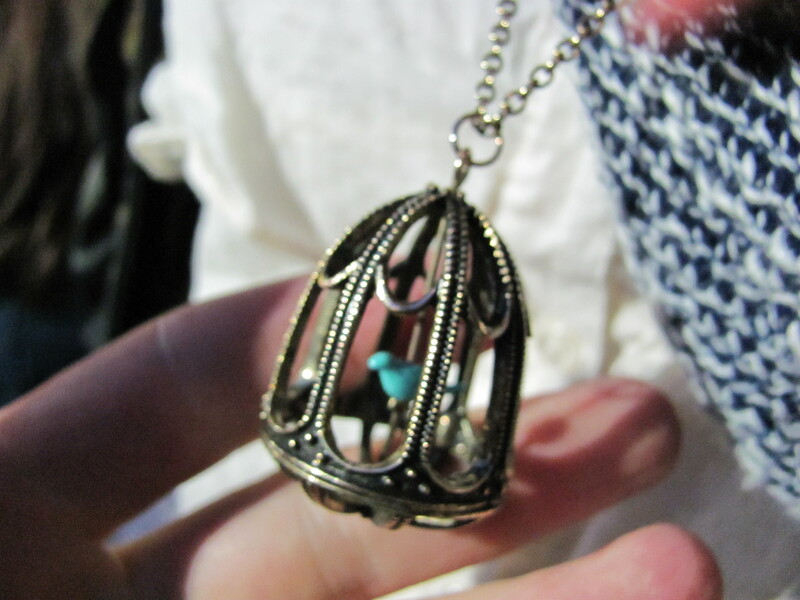 It’s the blue bird and the ornate antique brass cage that grabbed me. 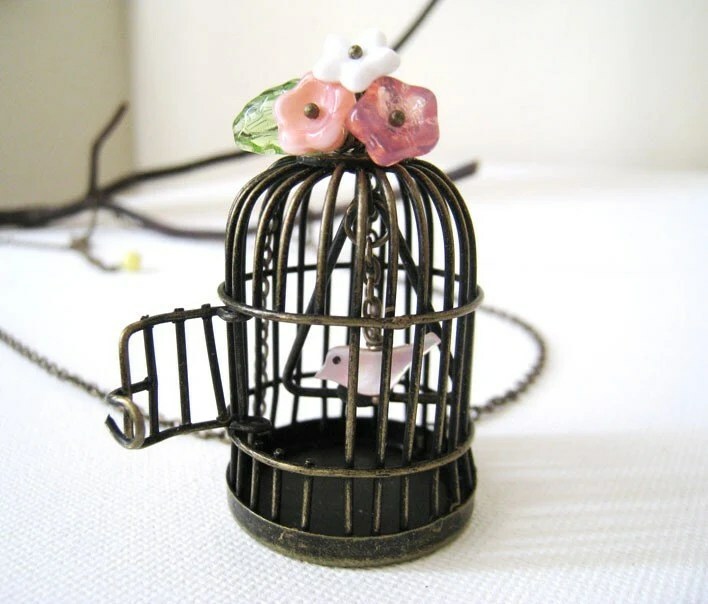 Plus, come on — it’s a birdcage around your neck! Yeah yeah. Here are few available equivalents from Etsy (though my friend’s find was sourced straight from the Continent, or was it Quebec? ).